How to create Active Directory Snapshots? In one of my previous posts I explain what system state is and how we can use it to backup active directory data. With windows 2008 server Microsoft introduces a new feature called active directory snapshots which can use to backup active directory data. Basically this tools creates a shadow copy of volumes that holds active directory data (Database and logs) using “Volume Shadow Copy Service (VSS)” running on server. 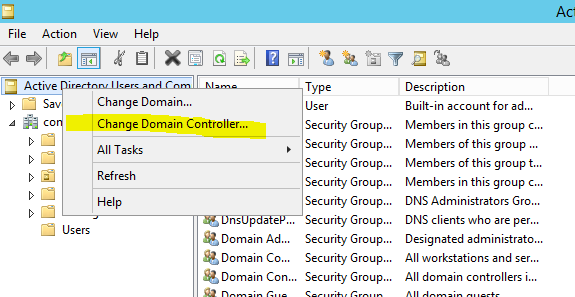 In order to create, view or restore AD snapshots, you need to be member of domain admin group or the enterprise administrator group. Let’s see how we can create active directory snapshots. 1) Log in the domain controller as a domain administrator or enterprise administrator with appropriate permissions. 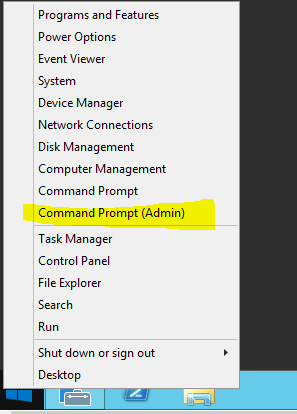 2) Right click on start button and select “Command Prompt (Admin)". It will open up the command line interface. 3) In command prompt type ntdsutil and enter to open up the ntdsutil tool. 4) Then type snapshot and press enter. 5) In next type activate instance ntds and press enter. 6) Then type create and press enter. It will start to create snapshot and give the similar output as following. 7) Type and enter quit to exit from the utility. You have to do it twice. Before we use a snapshot created by this process we need to mount it using active directory mounting tool. Let’s see how we can do it. 4) In next type activate instance ntds and press enter. 5) Then type snapshot and press enter. 7) It will list down all the snapshot created. 10) Then enter quit command twice to exit from utility. In here the dbpath will change according to the snapshot mount you made. Ldapport is any openport in the server to run this snapshot instance. Now we can access snapshot using port 10000. Keep this open till we finish with next steps. Let’s see how we can view the content of snapshot using active directory users and computers console. 4) As we can see here it successfully connect with the instance. 2) In next type activate instance ntds and press enter. 3) Then type snapshot and press enter. 5) It will list down all the snapshot created. 6) Then type unmount 2 ( this is the snapshot number I mapped before ). It will unmount the snapshot. 7) Then enter quit command twice to exit from utility. 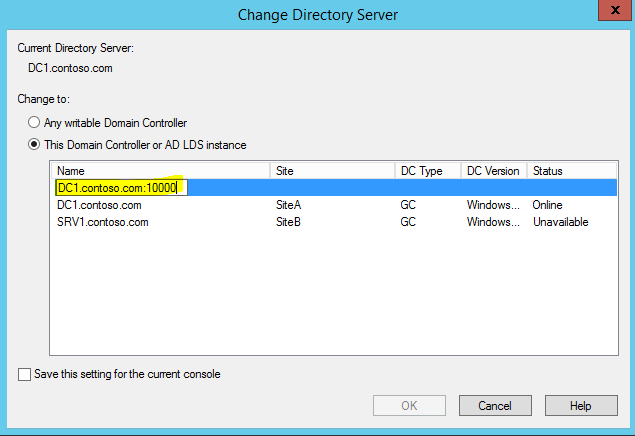 How to move active directory database to new location?